Markenanmeldegebühr 650 € zzgl. MwSt. Die Gebühr beinhaltet die amtliche Gebühr und das Anwaltshonorar. Für jede Klasse muss eine separate Markenanmeldung ausgebracht werden. Zusätzliche Gebühren können anfallen in Abhängigkeit der Formulierung des Waren- und Dienstleistungsverzeichnisses. Consult with our attorneys concerning your Brazil trademark application. We examine the registrability of your Brazil trademark application. Trademark Clearance search. We search the Registers of the INPI (Instituto Nacional da Propriedade Industrial; INPI) for identical & similar conflicting trademarks. All results are analyzed by an attorney and a search report is prepared. Application filed by an Brazilian Attorney, including Electronical filing of your application with the Brazilian Intellectual Property Office (INPI). Supervision of the application progress. Correspondence with the INPI and response to non-substantial Office ActionsDoes not include refusal based on absolute or relative grounds, or if your trademark is opposed by third parties. A Brazilian Trademark can be filed only in one class. Brazil is not a multi-class application country. For every additional class a new Brazil trademark application must be filed. Find more info here. A Brazil Trademark expires 10 years afters its date of registration. Thereafter it may be renewed for consecutive 10 year periods. INPI has not ratified the Nice Agreement but adheres to the Nice Classification of goods & services. Thus, Brazil trademark applications are filed in conformity to the list of accepted goods & services published by INPI. Please be aware that a Brazil trademark application cannot be filed in more than one class. For every additional class a new Brazil trademark application will be necessary. INPI charges a filing fee of R$415 and a registration fee R$745. 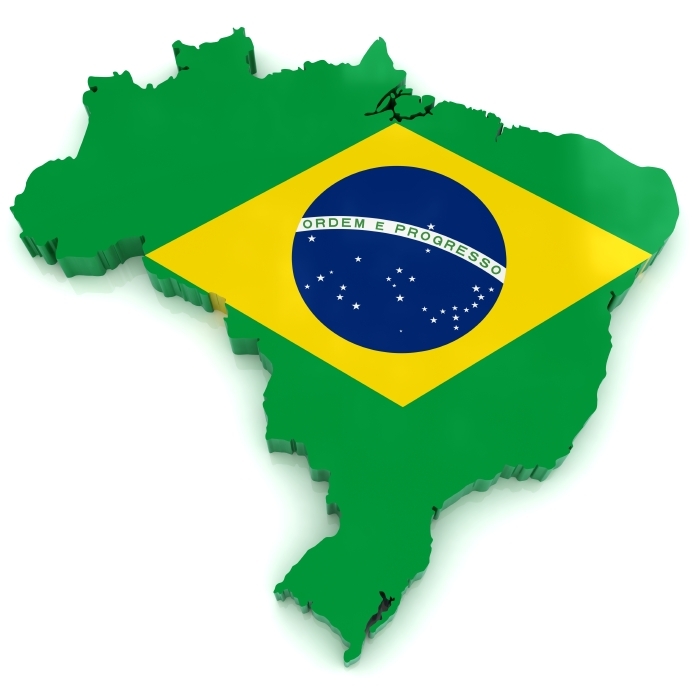 Please read our article Trademark Registration in Brazil for more info. Rufen Sie uns an, für eine kostenlose Erstberatung. Find more info regarding length of protection, application procedure, Classification, Official Fee Discounts, etc. If our examination of your trademark reveals that it is not registrable, we will only charge for our services rendered and refund any payments made in excess.